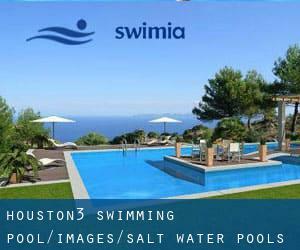 Swimia.com has the most up-to-date database about Salt Water Pools in Houston (Texas) (Texas). Thanks to some new Salt Water Pools in Houston (Texas) (Texas) submitted every day, Swimia.com is growing everyday the number of stored pools. Please don't hesitate to contact us if you find any inaccurate or incomplete info. Are you a normal swimmer? Do you visit the same Salt Water Pools in Houston (Texas) (Texas)? Please check that all the details for your aquatic center are correct and contact us if you obtain any mistake. Are you on holiday and would like to maintain fit and healthful? 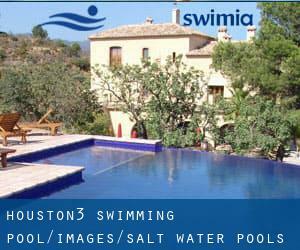 Swimia.com delivers you the easy and quickest approach to find pool near Houston. Regular users told us probably the most significant point of swimming is usually to control your breathing. To acquire this, our head should be aligned with our spine all the time. Not all countries are the same, and swimming regulations and rules are changing from one country to a different. Updated on 2019 5350 E. Marriott Drive , Phoenix , AZ , USA (Postal Code: 85054). Swimmers like you reported 25 meters, Salt Water, Outdoors. Phone number and e-mail address are number for this Pool. Updated on 2019 290 Old Montauk Hwy. , Montauk , NY , USA (Postal Code: 11954). Swimmers like you reported 20 yards x 35 feet, 2 lap lanes, Salt Water, Indoors. Unfortunately we do not have the e-mail address of this Swimming Pool, but we can give you the phone number. 2880 Michelle Drive , Irvine , CA , USA (Postal Code: 92614). Among all the activities offered by the center, in case you are interested in swimming you will enjoy 25 yards, 3 lanes, Salt Water, Indoors. Just in case you wish to get in touch with this Pool just before dropping by, we only know the phone number. Updated on 2019 Highway 30A , Alys Beach , FL , USA (Postal Code: 32461). Swimmers like you have reported 100 feet x 50 feet, Salt Water, Outdoors. Also, you will find 25 yards, Outdoors. If you have to contact this Swimming Pool, email address and phone number are both number. 150 Thunder Trail , Ketchum , ID , USA (Postal Code: 83340). Swimmers like you have reported 25 yards, 6 lanes, Salt Water, Outdoors. Also, you will find 25 yards, 3 lanes, Salt Water, Indoors. If you'll want to make contact with this Swimming Pool, email address and phone number are both number. 5411 - 20th St. E. , Fife , WA , USA (Postal Code: 98424). Swimmers like you reported 25 yards x 42 feet, 6 lanes, Salt Water, Indoors. Unfortunately we do not have the email address of this Swimming Pool, but we can give you the phone number. Updated on 2019 4441 Collins Ave. , Miami Beach , FL , USA (Postal Code: 33140). Swimmers like you reported 25 yards x 25 feet, Salt Water, Outdoors. Unfortunately we do not have the e-mail address of this Swimming Pool, but we can provide you with the phone number. Updated on 2019 78-128 Ehukai St. , Kailua - Kona , Island of Hawaii, HI , USA (Postal Code: 96740). Swimmers like you have reported 103 feet x 36 feet, Salt Water, Outdoors. Also, you will find 73 feet x 25 feet, Outdoors. Just in case you wish to make contact with this Swimming Pool before dropping by, we only know the phone number. 1827 Yale Avenue , Capitol Hill , Seattle , WA , USA (Postal Code: 98101). This sports center provides 25 meters, 4 lanes, Salt Water, Indoors. For this Pool, only phone number is number here.